It is my understanding that layers will be drawn in the order that they are stacked. Top being drawn last. The top layer is not drawn last. Why is that? The timeline at the bottom on the canvas/editing area represents the order in which each item is drawn. You will find the order follows the timeline which also means that if you were layering items on top of each other, the bottom layer would be the first item in the timeline. If I understand correctly, you are referring to a particular SVG and not the elements in a scribe. THE PROBLEM: Any time you nest groups (or layers) within other groups (or layers) you change the drawing order. that is why the bumper sticker is drawn before the rest of the car. Your SVG is 386 kb which is pretty oversized for an SVG of this level of detail. and indicates that your SVG may not have been made or saved in a way that is best suited for videoscribe. using multiple SVGs that "contain extra or undesirable data" may eventually cause a slowdown or crash. I downloaded the svg and can't achieve to make the sticker draw last (I already had that problem before, so I try to understand how to fix it). What do you mean by "select and drag all of the paths in each subgroup into their parent group" ? It's perfectly okay to use some nested layers in my opinion, but if you are running into trouble with the drawing order, it may be easier to just use one layer full of paths (or multiple layers with no nested layers within them). If you use Inkscape instead of Illustrator, you may not be able to view the layer arrangement in the same way as you can in illustrator, I THINK if you manually select all of the paths with the lasso tool (don't use ctrl+a to select all) and then cut and paste, that will put all of the paths in one layer. Then you can manually select just the paths that you want to draw last and cut and paste them, and that should put them last in the drawing order. I don't currently have Inkscape on this computer so I can't test that theory. Thank you very much Mike, very useful post. Thanks fo your big help on this forum. I've been struggling with "drawing order" as well and have stumble onto the problem: I routinely use Illustrator effects to change the appearance of a line. 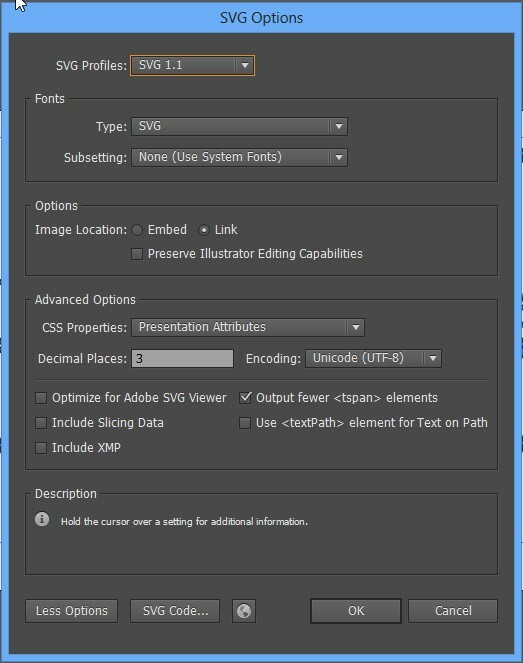 If a line has an "effect" assigned to it VideoScribe throws it to the top of the drawing list, regardless of its location in the layer list. Is this discussed anywhere in the forum? I haven't been able to find it. Workarounds are to delete the effect or "expand" it. effects, styles, masks, etc may produce unexpected or undesired results. stroked paths and filled paths work best. If you are experiencing any problems it may be best to convert everything to stroked paths and/or filled paths with no effects styles or masks. I know that layers will be drawn in the order that they are stacked. But sometimes I rearrange the way they are stacked because I prefer a different kind of order or had to add something. But then the svg no longer draws in the right order as the strokes are stacked...? How can I solve this? If you don't understand a specific SVG, you could attach it here and describe what part seems out of order. It seems that whenever I change the order of the strokes after I have draw them, the svg is not working in the right order. That makes it difficult, because it means I can never change anything after I have drawn all strokes.. Thanks for attaching the SVG. Those circles are being drawn twice because they are in your "colors" group (which is being drawn first) as well as your "strokes" group. If you hide the "strokes" group and look at what is still visible, you will notice that some of your color paths have black strokes. Videoscribe is drawing those stroked paths first (including the circles you mentioned). Next, videoscribe is drawing all of the stroked paths in your "strokes" group, including drawing the same circles again. A simple solution is to select everything in the "colors" group and then remove the strokes (leaving just the color fills), then resave the SVG and import the new version into videoscribe. Hi, thanks. Did not noticed that. Usually I set the stroke on 0 px when making the fill color, but apparently missed that with some. It was driving me crazy I could not figure out why it did not work properly.